Russian search engine Yandex has released an Android phone that comes packed with the company’s Alice virtual assistant and Android 8.1 Oreo. The most appealing part of the phone is that it costs $17,990 rubles which is roughly $360 CAD. While the phone might not be packed with the cutting edge hardware it does have a Snapdragon 630, a 5.65-inch full HD+ screen with a resolution of 2,160 x 1,080 pixels. The rear features a dual camera setup with 16-megapixel and 5-megapixel sensors with a 5-megapixel selfie shooter. Inside the phone is running a Yandex skin over stock Android and adds a lot of AI features. Since the phone has the Alice AI, it can allegedly predict what users need before they want it. 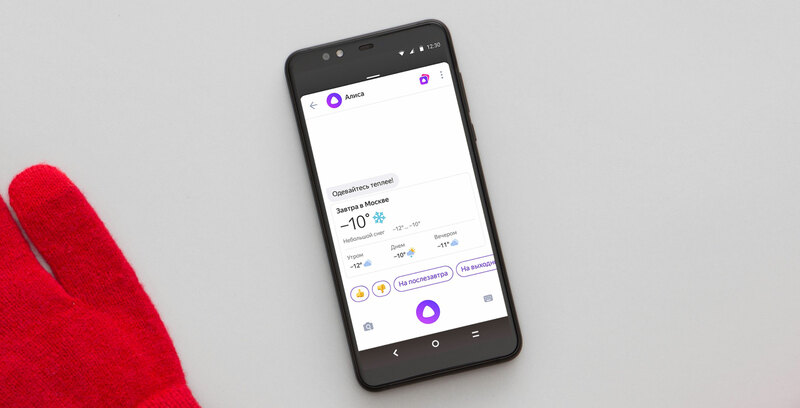 The example Yandex uses in its press release mentions that the phone will offer users directions before they go to work and weather alerts before you leave the house. The phone was built in mind to offer people in Russia a domestic alternative to big-name phone brands, so it will be interesting if the Yandex Phone can take off internationally. 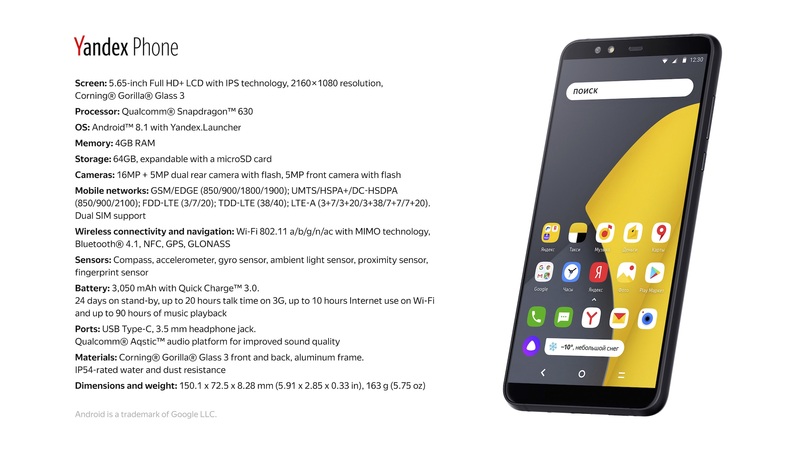 The most exciting part about this phone is that maybe it can prove that low-cost phones with proper software implementation can be as appealing as flagships, similarly to how to Pocophone F1 is carving out a name for its self by offering a phone for cheap, even though it seems as good as a flagship.